Cheatham County Kids is preparing for its annual Autism Awareness Event, taking place at Sycamore High School on April 14. Autism is a condition which is often associated with challenges in communication and forming relationships, among other things, though President Teresa Brunker noted that signs can range widely, making it difficult to diagnose. Brunker said the fourth-annual, free awareness event will offer games, prizes, food and more, as well as a sensory-friendly area and booths with resources to learn about autism. Other attractions may be added in the weeks leading up to the event. She also highlighted Sycamore High School drama students, who will perform skits to help event-goers better understand autism, and added that there will be volunteers to help care for kids with special needs if parents want to take the time to themselves to browse the booths. Though the event is free, there will be a silent auction and donation buckets for those interested in making a donation to Cheatham County Kids, which would help the organization fund other events and programs throughout the year. What started as a “social group” of parents and grandparents coming together turned into a local nonprofit organization aiming to support families with children with special needs — primarily autism — in 2014. 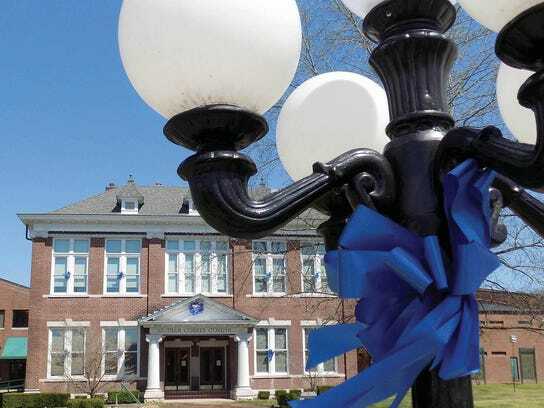 Brunker said Cheatham County Kids started its awareness event with the approval of late County Mayor David McCullough to help teach the general public about autism and provide informational resources to families who need them, especially with little else available in the county. Some resources she recommends to families include Autism Tennessee and Autism Speaks, among others. Cheatham County Kids is also asking area students to submit essays for publication reflecting on their knowledge and experiences with autism. The event will take place from noon to 4 p.m. April 14 at Sycamore High School.